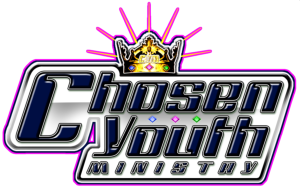 Welcome to Chosen Youth Ministry! We encourage every young person to get involved because each one of them is a vital member of the corporate Body of Christ, as well as here in this local church. Our desire is that every young person would find his or her place in the body and become a functioning part. This ministry is designed to minister to the needs of our youth and help shape them so they may reach their full potential in Christ to be all they can be for the kingdom of God. Our foremost goal is to bring youth into a personal relationship with Jesus Christ and to allow the Holy Spirit to influence their lives as believers. We also desire to give them spiritual and social support, so we plan fun events and outing s throughout the year. We are blessed to have an awesome youth ministry team here at FCCIOC, a group of men and women who have dedicated themselves, their time, and talents to minister to this generation. God has given them the desire and the ability to touch the hearts of our young people. Mission Statement: To DRAW youth into the Kingdom of God, MOLD them with the Word of God, EQUIP them with the Promise of God, and SEND them to do the Will of God. What to Expect: Relevant Teachings of God's Word, Radical Praise and Sincere Worship, Exciting Events and Fellowships' City Lights, Skate Nights, Camps, and MORE!